Today, the city of Najaf is a religious tourism hub for Shiites around the world. The city is home to the sacred shrine of Imam Ali ibn Abi-Talib — the fourth of the Rashidun Caliphs — built nearly 700 years ago, and hosts the highest Shiite religious authority in the Muslim world. 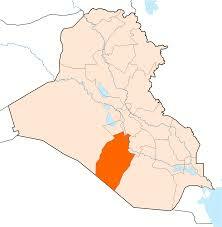 In this overwhelming Islamic presence, scarce other religious representation can be found in the city, as Muslim clerics ban non-Islamic symbols in holy cities like Najaf, including Mecca and Karbala, where the building of other kinds of places of worship such as Christian churches is prohibited. This is an old phenomenon that emerged with the rise of Islam during the seventh century forbidding the existence of multiple religions in the Arabian peninsula. However, recent archaeological discoveries following excavation works in 2008 show that this conservative Islamic city so averse to churches is one of the oldest Christian cities in the world. The remains of a church and a monastery are believed to be the oldest Christian monuments in Iraq, dating back to the year 270. 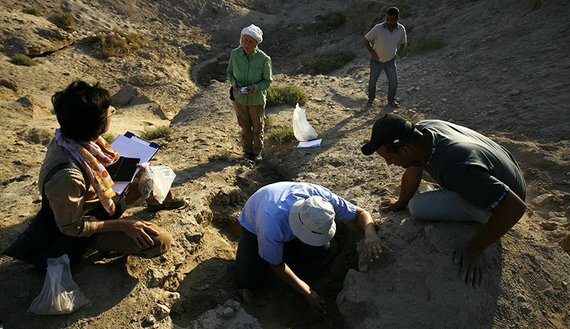 Although Najaf province contains over 30 historic Christian sites excavated by American and German expeditions as well as the Najaf Antiquities Inspectorate between 2007 and 2011, for ideological reasons, this research has failed to promote any tolerance of non-Islamic religious rituals and events that celebrate its ancient history. For example, in December, Sheikh Ibrahim Saffar, a professor at the Najaf seminary, demanded that a man who wore a Santa Claus costume in Najaf face criminal charges. In another example of the degree of negligence that has befallen these great monuments, Sultani guided our group to a barren area where the ancient city of Al-Hira is believed to have prospered. The site, dating back to the third century, is dotted with holes from illegal excavation work. There were dozens of graves in which dirt and garbage bags have piled up after looters dug into them and left them open. Next to this lot stands a residential neighborhood. Sultani said, “These houses were built on top of the ruins of the historic al-Sudair castle, erected by al-Numan ibn al-Mundhir between 403 and 430 CE.” The area is covered with hills believed to be remnants of the surroundings of the Castle of Khawarnaq, which was excavated by a British expedition from Oxford University in 1931. A notable example of Iraq’s Christian religious heritage, this Christian historic site in Najaf is of even greater significance amid a wave of religious extremism fueling violence and threatening coexistence. Just as Muslims enjoy a strong presence in Iraq, these Christian monuments found in an Islamic city stand as an indisputable proof of the shared history of the people of Mesopotamia. Both Muslims and Christians have to work hand in hand to rebuild these sites and promote religious tourism that would attract Muslim and Christian pilgrims from around the world. As part of a step to rehabilitate these religious and historic sites, in 2012, Iraq’s Endowments of the Christian and Other Religions Divan unveiled a plan to reconstruct historic churches in Baghdad and other provinces. Although a long time has passed since this plan was announced, there are no signs of rehabilitation or reconstruction at Najaf’s historic sites.